6 Nights accommodation in Deluxe Ocean Room. As of now airfare in the package is calculated at Rs. 41,000/- (per person). Any increase in the airfare to be Paid Extra. Mauritius, known officially as the Republic of Mauritius, is an island nation located off the coast of the The South West of MauritiusAfrican continent in the southwest Indian Ocean. It is a volcanic island of lagoons and palm-fringed beaches with coral reefs surrounding most of the coastline. The island is situated approximately 2400 kilometers off the South East Coast of Africa. The island covers an area of 1,865 square kilometers or 720 square miles, with 330 kilometers of coastline. Mauritius is 45km in width and 65km in length. Mauritius is a densely populated island of around 1.2 million people. It has a reputation for stability and racial harmony among its mixed population. 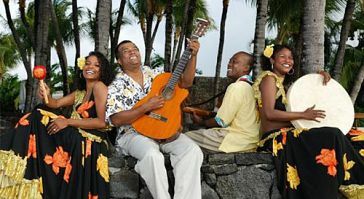 Mauritius is known as a plural society where all the ethnic groups present: Hindus, Muslims, Creoles, Chinese and Europeans live in peace and where all the ancestral cultures have been preserved. These features make the island a unique place in the world, and the Mauritians known for their tolerance and kindness towards all people. Most Mauritians are bilingual being equally fluent in French and English. English is the official language, but French and Creole are widely spoken. Oriental languages also form part of the linguistic mosaic. Mauritius has preserved its image as one of Africa's few social and economic success stories, being a sugar and clothing exporter and a center for up market tourism.